← Why I Adore the Internet . com .com .com! Ellie, I believe you are absolutely right about the food additives and that is why we are growing organically on our farm. Two of my relatives lived to 99 and the rest into their late 90’s and they raised all their food except coffee, tea, flour, sugar, etc. and they did not give hormones to the animals to make them grow larger or faster. They all ate bacon, eggs, biscuits and gravy, and don’t forget the fried chicken here in the South. Disrespect for the parents is also a problem but part of that problem is created by the example the parents are setting for their children. How many children have and are seeing their parents living unmarried with a partner, getting drunk, using drugs or staying out partying while the children are left to raise themselves? Also there are the parents who work constantly and leave little time for actually parenting the children they have given birth to. What are the parents giving the children to respect? There are many of us who will give clothing or buy a meal for a homeless person but will not give them money because it is often times used for alcohol or drugs. My youngest son keeps a couple of boxes of canned goods in his truck, the type that don’t require a can opener. When he stops at a red light in Atlanta and someone runs out to try to ask for money, he gives them a bag of food. I enjoyed this blog Ellie and I hope you are feeling much better. 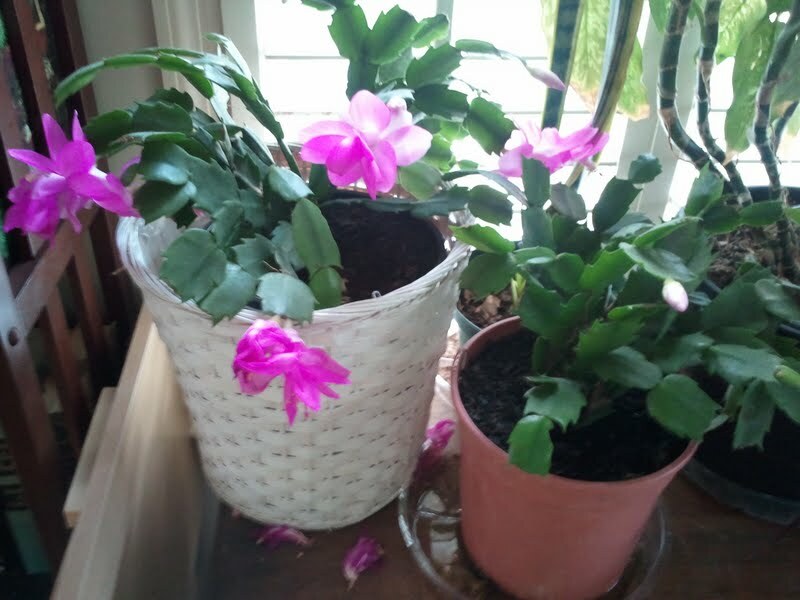 I think your Christmas cactus is blooming repeatedly because it loves you. Thanks so much, Judy, for your thoughts!